Sufjan Stevens, 40, is a multi-instrumentalist singer-songwriter who has utilized his musical talents to produce several cross-genre albums. As an artist, I find him compelling for the talent this endeavor demonstrates; Stevens' mastery of musical sound, coupled with his understanding of the sounds and desires within each genre, create dynamic and intriguing records. Further, all the sounds on Steven's records are ones he personally made: he utilizes "multitrack recording", in which uses one instrument to make a sound, and then puts it on a loop to keep it in the song while he plays another instrument. This man is a musical and lyrical genius. This website covers Stevens' basic biography, from his introduction to music to the release of his latest album. It is a great sight for general "get to know you" information. This website is Stevens' "Home" website, with links to the record label he created with his stepfather, Asthmatic Kitty. This website contains personal interviews with Stevens, as well as videos of his music and tour dates. 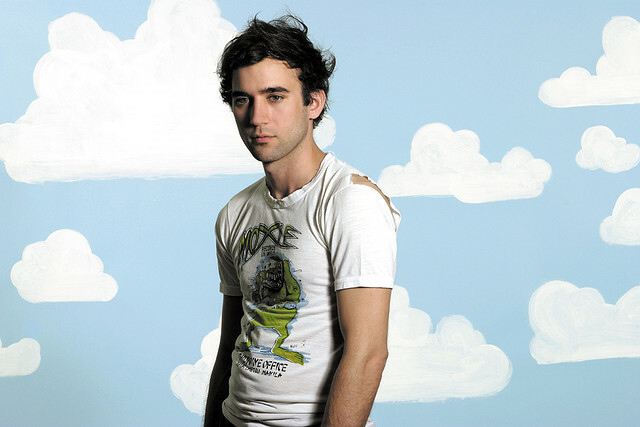 NPR's artist page on Sufjan Stevens. This page covers old interviews, opinions on his latest pieces, and recordings. Some of the interviews on this page cover the stories behind his songs, what inspired them, and his opinions of them. 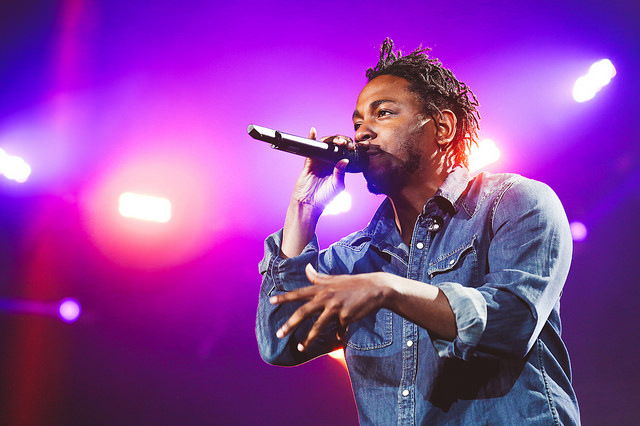 Kendrick Lamar is a hip-hop artist from the city of Compton. He has been involved in music ever since his teenage years, he made his first mixtape back in 2003 under the name K-Dot. The mixtape received attention locally, but it wasn't until 2010 that Kendrick started to receive widespread recognition for his music. His rise to notoriety arguably came about with the release of his first album Section.80, shortly after he released good Kid m.A.A.d city and recently released another album To Pimp a Butterfly. I chose this artist because his music truly resonates with me in a way that no other artist has. My "relationship" with his music has been constantly evolving, I've never found an artist that has challenged my own perspective as much as Kendrick has been able to. I've been listening to him for a couple of years now and over that time my view of him as an artist, as a person and my view of his music, have changed drastically. Like most hip-hop artists Kendrick speaks candidly about drug use, violence, and making money but unlike most artists in the genre, Kendrick's tone regarding these topics is entirely different almost disdainful yet understanding and sympathetic. The most interesting part of this, is that this tone is not overtly obvious the first time listening to Kendrick's music. He has several songs that are perfect examples of this; "Swimming Pools" off good Kid m.A.A.d city and "A.D.H.D" off Section.80 both convey this unique tone. If you were to listen to those songs without truly picking apart the complexity of the lyrics, you could easily miss Kendrick's message. This is exactly how my relationship with his music has evolved, and changed my own perspective on how I've been living. When I first got into his music I enjoyed how it made me feel, the lyrics were rough and uncensored, they made me feel like I could be as tough as someone who grew up in one of the roughest cities in the nation. Over time after listening to him frequently, I began to have revelations listening to his songs, realizing the true message he was trying to convey. When I saw him perform at the Sasquatch Music Festival this past memorial day weekend was when I really started to take some of the things he was saying to heart. This isn't really the place for many specifics, so I won't elaborate too much, but Kendrick has shared a lot of his insight with me. This insight has come from his music mostly but especially from seeing him perform live. During that performance, he wasn't afraid to be "real" with the audience. The questions he asked during that performance stuck with me and made me question my own behaviors and patterns of substance use. I still have a lot of questions that I believe he prompted, honestly I would love to have the chance to just have a conversation with this person. His life experience has been so drastically different than mine and I believe he has a lot to share based on that experience, things that are so valuable they shouldn't just be overlooked because it is contained in hip-hop music. As such a powerful and compelling artist, he is inevitably surrounded by some controversy. The following link details the opinion of a pundit of FOX News. I chose this link because it is the polar opposite of my opinion of this artist, and goes so far to claim that Kendrick's music has, "done more damage to young African-Americans than racism". The next link I'm providing presents mixed opinions about his most recent release To Pimp A Butterfly. I'm choosing this link because it outlines both perspectives very well, both the pros and cons. The last link I am presenting covers just how challenging To Pimp A Butterfly is, and discusses some of the subtleties contained in the album that some may miss. Tablo (Daniel Armand Lee) is one of the most famous rappers in South Korea. He is also the leader of a South Korean hip hop group called Epik High. I have heard of his songs ever since he debuted in 2001, but was never a huge fan of his until I came across his newest album “Shoebox” last year. Out of so many musicians I know, I call him my favorite because not only that I like his songs, but because of his kind advice that he gave to his fans and the share of his hard past at his recent concert in Seattle. As Tablo and Epik High was getting really popular in South Korea, Tablo had to face one of the biggest struggles that he has ever went through in his life. 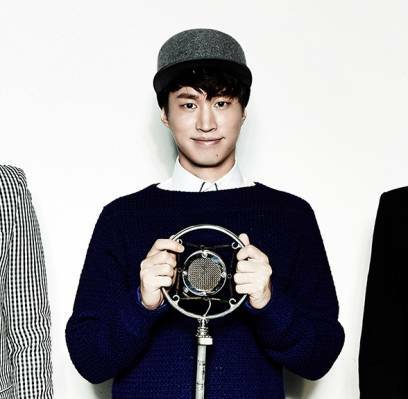 In mid-2010, a group of internet users raised doubts about the academic background of Tablo. Some people thought that Tablo could not have graduated from Stanford University with both a Bachelor’s degree and Master’s degree in English and Creative writing in just 3 and a half year. Tablo fought against those people and proved that he actually did graduated from Stanford University by making a documentary film of himself actually visiting the campus. I personally think that he shouldn’t had to go through all the hard times that he had just because of those anti-fans, but it definitely made him stronger today. His music really touches my heart and I really wish Epik High grows more to be a worldwide hip hop group someday. John Coltrane is a personal Jazz hero of mine. Born in 1926 he was introduced to music at a very early age. His father played several instruments which was a major reason why Coltrane decided to learn to play. He first learned the Clarinet and E-flat horn, which is a brass instrument that looks like a very small tuba. In high school he found jazz and that prompted him to start playing the alto sax, which is the saxophone that most people associate with jazz. He was drafted into the Navy during WWII and played with the Navy Band in Hawaii. After the war was over John Coltrane learned how to play the tenor saxophone which he is most known for playing. After the war John Coltrane went on to play in bands with jazz greats like Dizzy Gillespie and Miles Davis. Both of these men where innovators in the Jazz genre and this sparked John Coltrane's journey to leave a distinct mark on Jazz himself. Miles Davis showed John that Jazz didn't have to be just aimless runs of notes but deliberate and that silence could be just as meaningful as sound. This lesson and John Coltrane's deep spirituality lead him to create soulfully revealing Jazz that people wanted and needed to hear. The deceptive simplicity of John's music has inspired generations of Jazz lovers. No one has done it the same or so spiritually charged since his untimely death in 1967 of liver disease. He is one of the most imitated Jazz musicians that has ever lived. 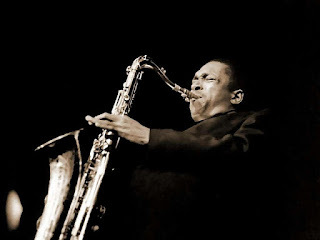 This is the official page of John Coltrane. It contains a biography, a complete discography, store and information about his foundation. PBS page from the Ken Burns Jazz Videos. It contains audio Features about John Coltrane. Only Video of John Coltrane Playing "A Love Supreme"
Only 12 minutes of this video recording survived. It was recorded during John's only time playing "A Love Supreme" live in concert. 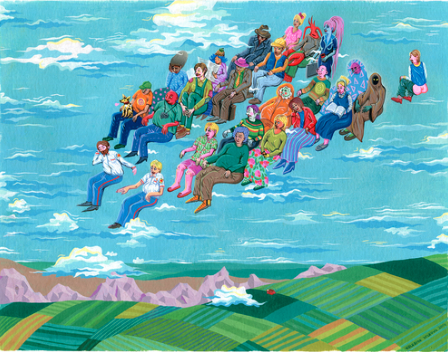 Valeriya Volkova is an artist I happened to stumble upon on reddit, and I fell in love with her work. Her art is cartoonlike and decorated with vivid colors. Most of her work is cheerful and funny, but at times can be dark, creepy, and nightmarish. Her work is very abstract and fits together random objects, places and things into a surprisingly cohesive whole. In some of her pieces, she almost has an MC Escher feel where tunnels and bridges and ledges all mash together nonsensically. Valeriya works as a graphic designer and children’s book illustrator in Philadelphia. Online, she presents her work in a very easy to browse fashion separated by type of subject presented in the piece. Her artwork is so fun and interesting that anyone is able to order large prints of her work or even her artwork on clothing. On her main website, there is even a link to a page where you can dress a turquoise sasquatch named Francis (the sasquatch and all the clothing is her artwork). Just for giggles. I really enjoy her work because she is such a silly person. She makes art fun. She is so incredibly talented, and uses it to make people happy. Her artwork makes you see a new perspective to everyday life that you may not have otherwise. they can come true no matter what. That's what I want to do." 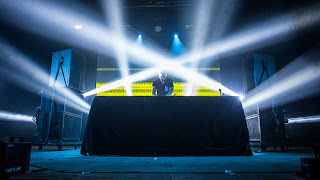 Martijn Garritsen (born 14 May 1996), better known as his stage name Martin Garrix, is a Dutch Electro-house DJ/producer signed to Spinnin' Records. He is best known for his track "Animal", which was a Top 10 hit in more than 10 countries. He debuted at number 40 of DJ Magazine's Top 100 DJs and is ranked number 4 currently. Martin Garrix kicked off his career in a high-profile way, first landing on the dance charts with his 2012 remix of Christina Aguilera's "Your Body." 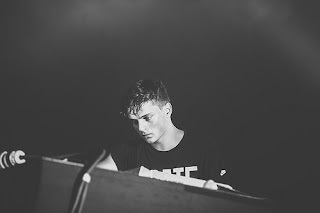 As a young age of 16, Martin Garrix signed to Spinnin' Records in 2012 and releasing the "BFAM", a co-release with Julian Jordan. In the same year, he won the SLAM! FM DJ Talent of the Year Award. In 2013, he released his well-known solo track "Animal" that reached the number one position in several countries worldwide including Scotland and the U.K. and as well as the Top Ten in eight other countries. The following year, he released his first extended play (EP), Gold Skies. The EP includes his singles "Animals", "Wizard", "Tremor", "Gold Skies" and "Proxy." His track "Wizard" featuring Jay Hardway charted Top Ten across Europe and ascended Number One on Beatport, making it the youngest artists ever to reach the top spot on Beatport.com’s Main Chart. Early in the year of 2015, Martin Garrix releases several tracks with several well-knowing DJs and singer. His latest songs with Matisse & Sadko called "Dragon" and "Break Through The Silence". Martin Garrix posts his tour dates and locations, his musics, pictures of he took, contact, and links to his social networking platforms. Martin Garrix posts his most recent tracks and his mix at the music festival. In this link, you can find Martin Garrix's recent news, biography, music videos, and photos. Martin Garrix's well-knowing track "Animal" was my first and favorite electronic music. I stated to follow him on his social medias such as Facebook, Instagram, Soundcloud and Spotify. As a young age of 19, he is already a famous and talented DJ of the world which shocks and inspired me. He pursues his dreams and succeed and what couldn't I. Show Luo, singer, actor, and host. Show Luo is a popular singer in Taiwan. In addition, he is also an actor and host. I like his music, dance, drama, movie and TV show. I started to listen his music since 2003. When I heard his first hit song of his first album - "Show Time", I couldn't get the song out of my mind for a long time. I keep singing and listening the song until his second hit song came out. The song "Show Time" is a high tempo J-hip hop with rap lyrics in Chinese and Japanese. In addition, the song was written by himself. Therefore, I started to follow him with interest. While I watched his TV show called "100% Entertainment", I discovered that he is a very funny guy. He always made lots of fun in his TV show. Furthermore, he opened lots of world tour concert since 2007. The concerts had been performed in Asian, Australia, Canada and America. Now, he is more and more popular. 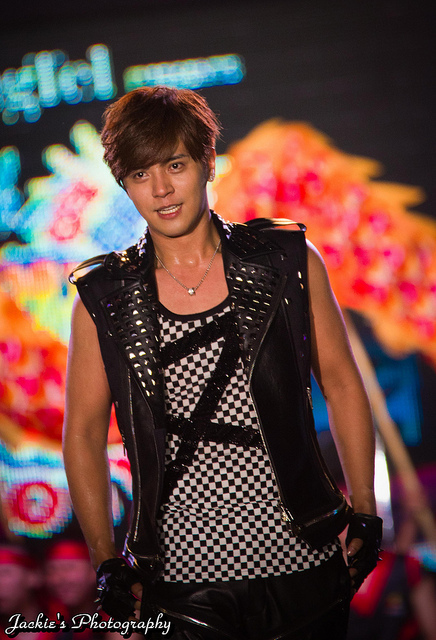 Show Luo performed in his concert. There are lots of information about Show Luo such as career, discography, concerts, filmography, and so on. Here has a short biography about him, a list of all his music and video, and the top albums. This website also has his biography and a list of all his drama and films. There are all listed by year. Laurence O'Keefe is the composer for my favorite musical: Legally Blonde the Musical. While most people who enjoy the movie Legally Blonde the movie are considered "uncultured" for enjoying that piece of 2000's pop culture, I would argue that the opposite is true of the musical. The movie emphasizes how blondes can do anything, while the musical emphasizes the same point but in an enjoyably sarcastic way. The key to the difference between the movie and musical is Laurence O'Keefe. If it wasn't for his witty lyrics and catchy tempos, I would not have looked twice at this musical. However, the storyline became much more enjoyable because of his songs. https://en.wikipedia.org/wiki/Laurence_O%27Keefe_(composer) This link provides his history in composing and musical theater. https://www.youtube.com/watch?v=xjkscx9Osmw This is a link to watch his most popular and my favorite musical, Legally Blonde the Musical. http://www.legallyblondethemusical.com/ This link has information about the musical, such as synopsis and songs. always been apart of my life; he was and still is my mother’s favorite artist. Zevon’s music has always been different from any other music to me emotionally. I can listen to his songs closer to his death when I’m sad, or his funny songs like Lawyers, Guns, and Money when I’m in a good mood. The thing all his music has in common is that you have to really listen to the words and melody to appreciate the quality. Some of my favorites are the ones with orchestral accompaniment because they are so intricate. I find the fact that most of his music is in minor keys interesting since most popular music is in majors. Zevon was diagnosed with an inoperable lung cancer and a year later died. 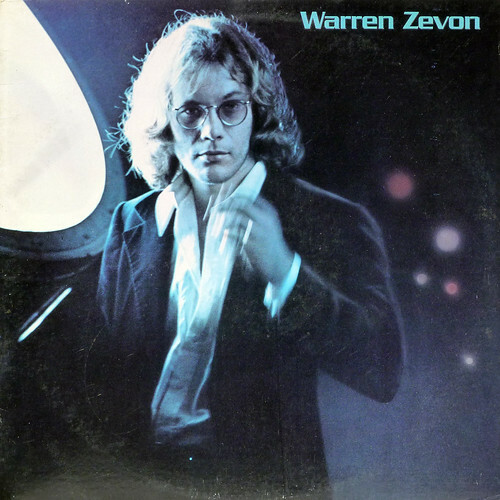 While I was too young at the time to appreciate it Zevon spent the last year of his life working on an album. Wikipedia has a comprehensive summary of Zevon’s life before and during his music career. This website has a list of all of Zevon’s music, photos of him, and a board where fans can post about him. Rolling Stone wrote an article after Zevon had died. They gave a basic summary of his life and gave information about what caused his death. Also, they wrote of his latest released album The Wind. of breaking everyday norms to enhance personal growth and creativity. Banksy is a graffiti and street artist that can be recognized world wide by his stencil and spray painted artwork. The subject matter of his art tends to be somewhat controversial with huge political and social influence. In the 1990's his edgy art work started showing up around England which caused his viewers to question current political and social movements. As his popularity spread, his pieces started spontaneously showing up around the globe including around Europe, North America, Australia, Africa, and the Middle-East. Possibly the most intriguing part about Banksy is that although widely famous, he chooses to remain anonymous and stay out of the spot light that his work has granted him. Complete biography about Banky's life and artwork. His most famous pieces of art are pictured here. Locations around the globe that you can view his street art in person. I really enjoy his art because it uses simple imagery to create an impactful message. The symbolism he has developed causes everyday people who happen to stumble upon his art to think critically about how our society operates and what we could be doing differently. I believe an artist should cause people to think differently, critically, and expand our horizons. 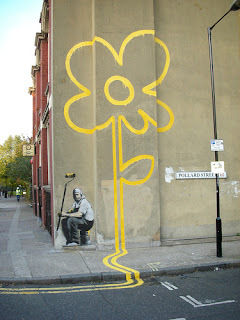 Banksy does just that. His art is successful because he uses ironic paintings to force us to question the world around us. I also really like the fact that he remains anonymous and does not want to reap the benefits of being a world renowned artist, but thinks that the message is more important than his personal fame. 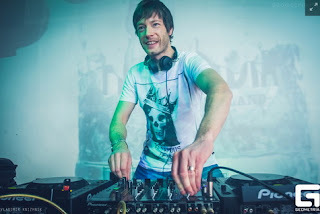 Jody Wisternoff is an English electronic producer and DJ. He mixes a variety of musical styles such as deep house and progressive. His first break was in the 1980s when he collaborated with his brother Sam Wisternoff to create a successful mix. Since then he has been touring the world to expose his music to people all over. Here, Jody posts his most recent mixes and songs. He likes to share other artists that he is inspired by as well. He is features in a lot of electronic podcasts that he shares to his page for his fans to view. At this link, you can find the albums he has released. If you click on the album, there is a a short description of it and it tells you how successful it was. For example, if it was on the top of the iTunes Dance Chart. I have been touched by Jody Wisternoff's music a lot in the past few years. His deep house progressions send chills up my spine. After hearing his music I decided to attend one of his shows. First of all, his set was incredible and second, he was such a nice guy and down to earth. I had the pleasure of hanging out with him in the VIP section all night. It forever changed my perspective of electronic music. I recently learned about Art Spiegelman. He is married to his designer and editor Francoise Mouly. 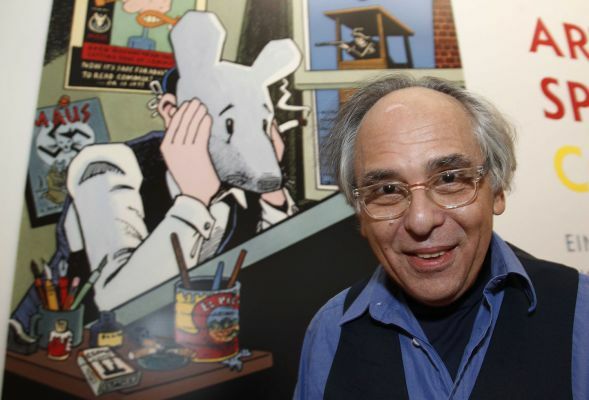 Spiegelman is a cartoonist, most well known for his graphic novel "Maus". 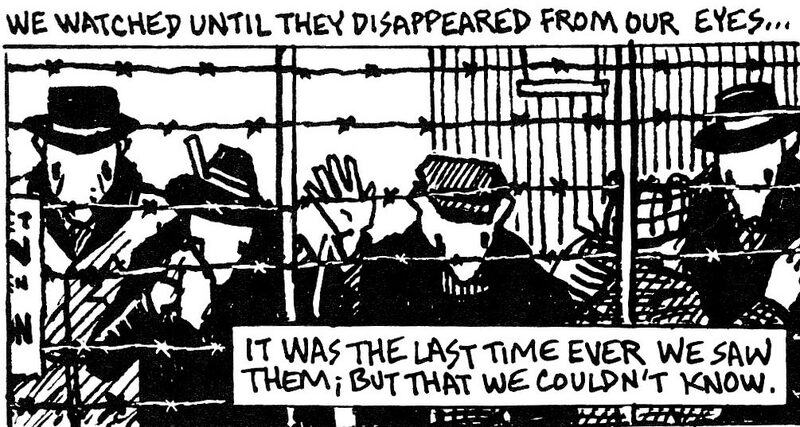 Maus follows Siegelman's father's tale through The Holocaust in concentration camps. The different cultures are represented as different animals in this graphic novel. 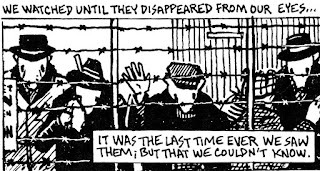 In the graphic novel, readers can experience the "realness" of hearing a firsthand story about concentration camps, while having the buffer of cartoon images to help digest the story. Spiegelman also inadvertently discusses how being in concentration camps affected the psyche of his father, and how that affected his own upbringing. There are several instances in which he has trouble dealing with his identity. "Maus" is the first graphic novel to ever win the Pulitzer Prize. Here is a more extensive biography, including video interviews, and other works by Art. Here is the link to where you can buy and read "Maus"
I just discovered this talented female performer a few months ago when a video of her went viral on the Internet. After watching a few of her videos, I felt so intrigued to find out more about this "unusual" performer and what she does. It turns out that her way of approaching art was, indeed, unusual, since not everyone is able to understand why she does what she does. In this video, Marina, as a performer, spends a minute of total silence with strangers. Each member in the audience gets to sit with Marina for one minute without talking. The guy in this clip is Ulay, Marina's co-performer and ex-boyfriend for a long time. This was the moment when they first met again after breaking up at the Great Wall of China (they started from the two ends of the Great Wall, met right in the middle, hugged, and both went separate ways from there!). I find her interesting because of her weird way of making arts. Those who do not understand often condemn her of doing "pointless art." In fact, if you see her videos, it does not really make any sense at all. It is only until you sit down and really think about it that it starts to have meanings. 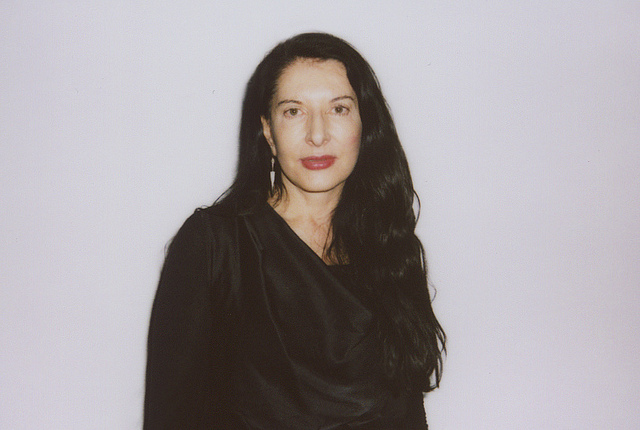 http://www.marinaabramovic.com/home.html - This is Marina's website. https://www.facebook.com/pages/Marina-Abramovic/300806525911 - This is her Facebook page where you can find her latest updates. 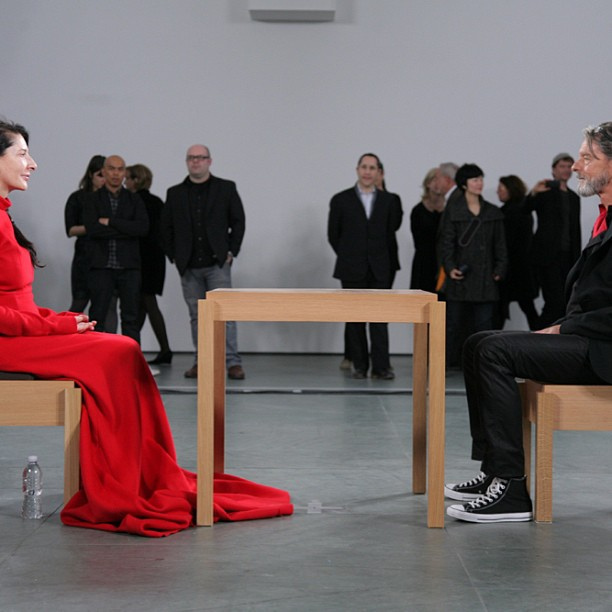 youtube.com - If you go to Youtube and search for Marina Abramović, it will show a ton of videos of her projects with Ulay.